What could possibly cause all the funds from an Irish financial institution to vanish? How can older hydroelectric plants like the one in Brazil be subject to a breach that may result in significant loss of lives? Could a NATO base in Europe be infected with a mysterious yet untraceable code that sends all of their combat supplies to the wrong location? Today's smart cars are moving toward increased safety, but is this a trap? Are these all a glimpse of the potential danger of a new Ghost Code designed for devastation at a personal and industrial level? In an intriguing game of digital cat and mouse with assassins from the Dark Net, the R-Group's technology experts are brought in to make sense of the individual issues and maybe stitch together a larger problem. Jacob, Petra, and Quip find themselves pitted against their most nefarious enemies to date. Stretching their considerable talents to the max, they struggle to track down the source of the Ghost Code and craft a solution that can secure the world's technology infrastructure before it completely collapses. 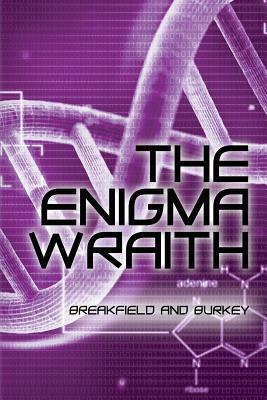 In the fourth book of the Enigma Series, The Enigma Wraith, the R-Group team expands their computing power to assist their brilliant technologists. The award-winning authors, Breakfield and Burkey, serve up yet another captivating techno-thriller novel racing with romance, humor, and looming catastrophe.